First came the "Hangover 2" spoof, then the "Green Lantern" spoof, and now, at long last, we have the official full-length trailer for "The Muppets." It's got pretty much everything you'd want in a "Muppets" trailer: Kermit, Miss Piggy, Animal, and the rest, a bunch of celebrities, a little song-and-dance and a few laughs. 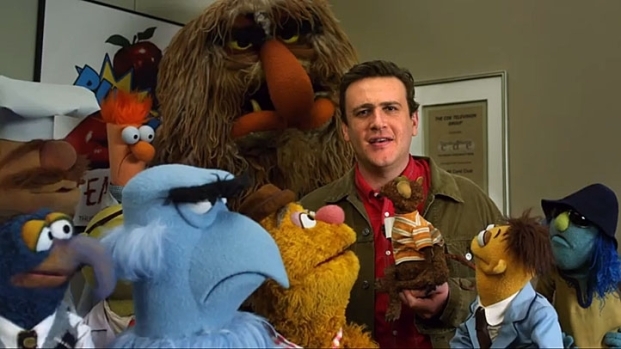 Jason Segel stars in the film, which he also co-wrote with Nicholas Stoller, about the Muppets reuniting to throw a fundraiser in an effort to save their old theater. 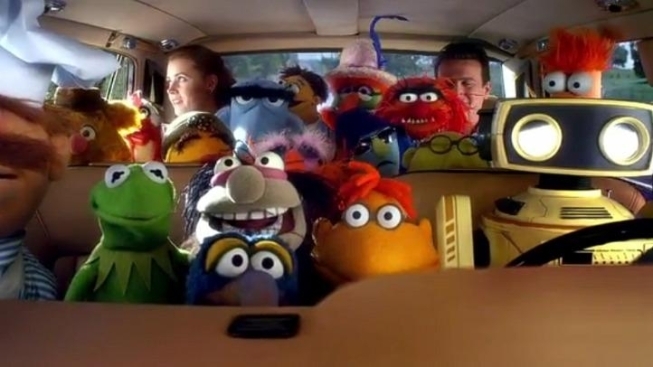 Judging from all the trailers, fake and otherwise, Segel, Stoller and director James Bobbin have nailed the tone, capturing that distinctive Muppets blend of sweet, funny, stupid, zany, smart and just a teensy bit mean. The human cast is lead by Segel and Amy Adams, and includes Mila Kunis, Zach Galifianakis, Emily Blunt, Ed Helms, Rashida Jones, Jack Black, Neil Patrick Harris and a few thousand more. With their old studio in danger of being taken away by a nasty oil tycoon, the Muppets throw a fundraiser with the help three humans to buy it back. Starring Jason Segel, Amy Adams, Emily Blunt and John Krasinski, opens Nov. 23. "The Muppets" opens Nov. 23.